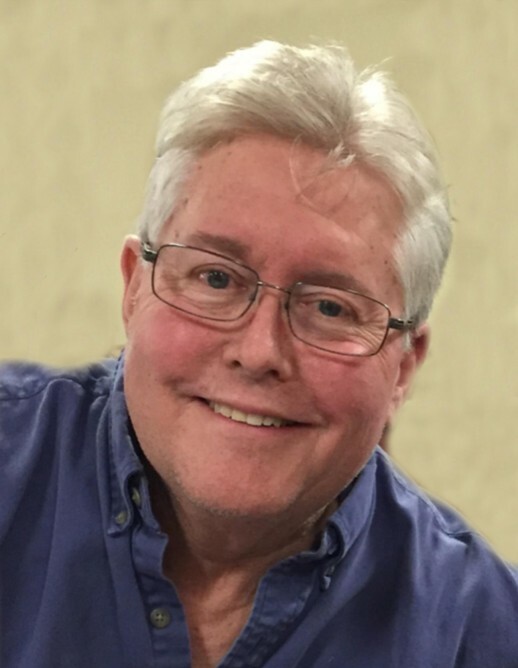 JERSEYVILLE - James Michael "Mike" Norris, 66, died unexpectedly at 6:04 p.m., Sunday, January 13, 2019 at Jersey Community Hospital. He was born on August 17, 1952, one of two sons born to James M. and Juanita (Wilkinson) Norris and grew up in Jerseyville, graduating with the class of 1970 from Jersey Community High School. A talented and gifted artist, Mike went on to attend Bradley University in Peoria where he graduated with an Art degree in 1974. After graduation, he worked for a short time at a television station in Peoria before returning home to Jerseyville in 1976, where began working alongside his father at Wells-Norris Tire and Auto where has remained for the past 43 years. He married the former Patricia (Taake) Allen on April 7, 1990 at the Holy Ghost Catholic Church in Jerseyville and with their union, Mike gained three wonderful children and the grandchildren that followed. Mike inherited his father's strong work ethic and commitment to his community. He was proud to be a part of his family business, and upon his father's retirement in 1991, Mike and Pat worked side by side running the day to day operations of the shop, eventually welcoming their sons, Brian and Shane, into the business as well. Albeit far and in between, in his time away from work, Mike enjoyed the occasional golf game and was a lover of old cars, which sparked his involvement with the Hudson Car Club, traveling often to their various car shows throughout the country. Without a doubt, Mike's happiest moments were those he spent with his family. Just as their joys were his joys, their sorrows where his sorrows as well. After Shane's tragic death, Mike was a true rock to Pat and their entire family. He was always there to lend a helping hand, a shoulder to lean on or simply to sit and listen. His grandchildren brought him so much joy and laughter and he was proud of them all, never missing a single sporting event or milestone in their lives. His passing will certainly leave a void in the hearts of his family, employees, many friends and our community as well, that can never be filled. Surviving are his mother, Juanita Norris of Jerseyville; his wife, Pat Norris of Jerseyville; a daughter and son in-law, Mindy and Gary Woelfel of Jerseyville; a son and daughter in-law, Brian and Brenda Allen of Fieldon;a daughter in-law, Amanda Allen of Jerseyville; six grandchildren, Holly and Brady Woelfel; Kyla, Isabel, Mason and Morgan Allen; a brother and sister in-law, Thomas "Ed" and Beth Norris of Grosse Point, Michigan and their sons, JD and Will Norris; as well as numerous nieces, nephews and in-laws. He was preceded in death by a son, Shane Wesley Allen on February 27, 2008 as well as his father, James Norris on October 31, 2016. Visitation will be from 4 to 8 p.m., Friday, January 18, 2019 as well as from 10 a.m. until time of funeral services at 11 a.m., Saturday at the Crawford Funeral Home in Jerseyville. Burial will take place at the Oak Grove Cemetery in Jerseyville. In lieu of flowers or plants, memorials may be given to the First United Methodist Church in Jerseyville.